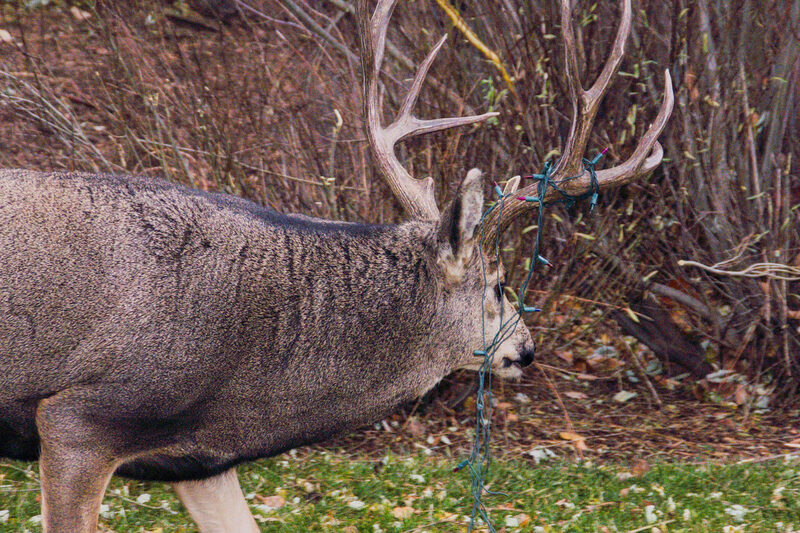 It is fairly common for bucks to get entangled with Christmas lights around their antlers. This can be dangerous to the animal and to any person who tries to approach it to "help". Most times the buck will figure it out himself or the problem will be solved when the antlers fall off in late winter. Seldom do the wildlife personnel need to get involved if the animal's neck is not being impaired.